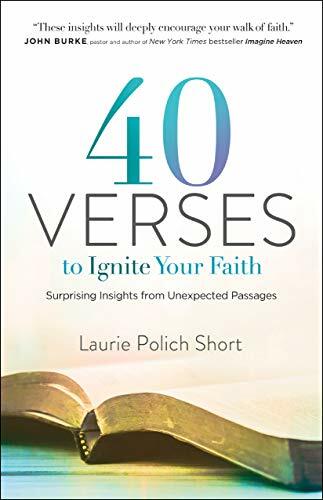 In this powerful, accessible new book, author and speaker Laurie Short mines the Scriptures, revealing insights and promises from 40 verses we often overlook. Digging into these “in between” verses, she unearths fresh wisdom, guidance, and encouragement that will help you seek and experience God in new, dynamic ways. From trusting God’s timing, to not worrying about the future, to holding on to faith when things look dark, the hidden insights found in these verses will help you navigate the challenges that cross your path, breathe new life into your weary soul, and ignite your faith once again.